← Official stamping – A STEP AHEAD ! Mind Mapping Basics : master the principles of a powerful tool ! 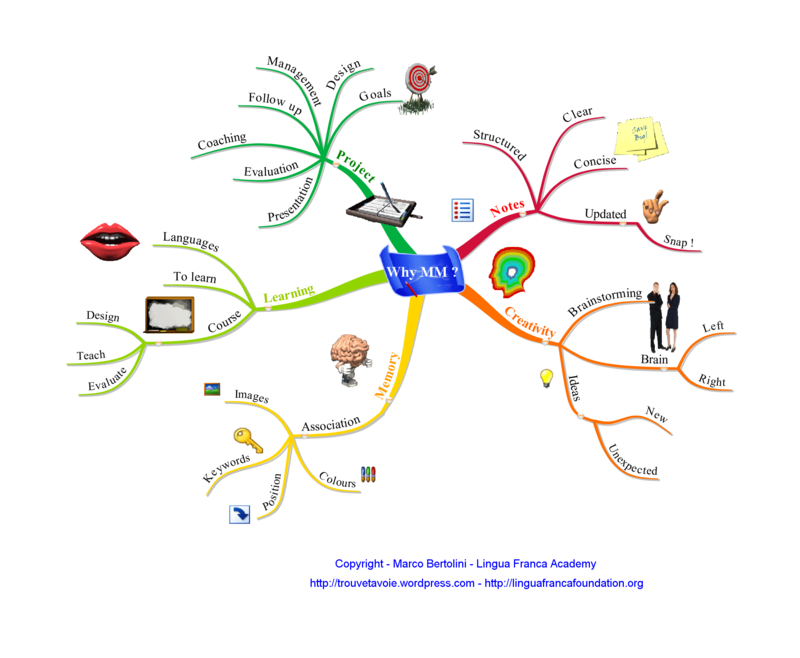 What is Mind Mapping ? Does it work ? What can this amazing technique bring to my own life ? Can it give me some tools for my professional life too ? 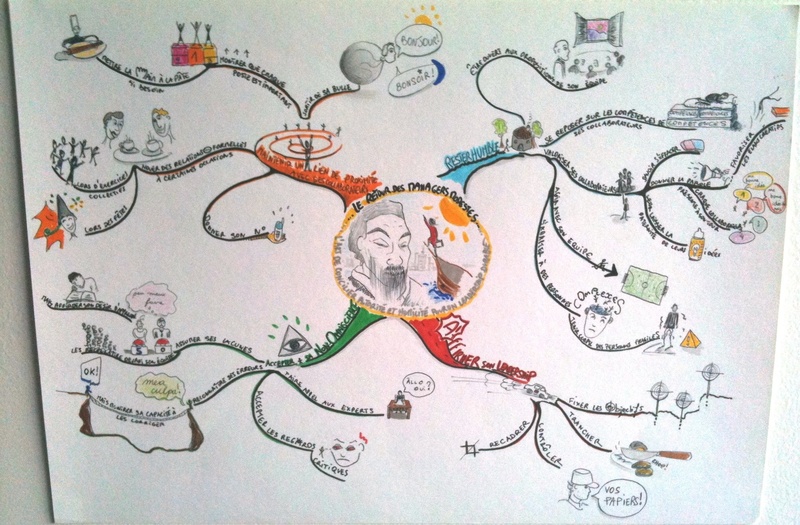 Yes, Mind Mapping can do that… and much more ! It all began at the end of the sixties, when a young student in psychology searched for more efficient ways to jot down notes and to prepare for the exams. Later on, he designed educational programs for the BBC and wrote an encyclopedia on the brain, still using and promoting the amazing technique that helped him so much as a student : Mind Mapping ! His name is Tony Buzan. Now, he is a star, one of the most fashionable speakers and consultants throughout the world. For a very simple reason : IT WORKS ! Today, we want to share this fantastic technique with you and that’s why we are organizing a workshop called “Mind Mapping Basics” in two cities in the Netherlands : Rotterdam and Amsterdam. With its strong hierarchic structures, mind mapping appeals more to our left brain. But its images, its spatial disposition and its colours are more appealing to our right brain. That is the reconciliation of both that makes it so efficient. As Tony Buzan puts it, Mind Mapping is a radiant thought : it starts from the center of the page – and not from the superior left corner – and radiates towards the edges of the blank sheet. At the center of the page, firstly put your central idea, but do it with a picture rather than with words : that will help you to be more creative ! The place of each item on the page also provides a spatial marker which helps to memorize concepts. This gives mind mapping its powerful structure : you can see everything in one glance at the page. Or you can examine every minute detail on each branch. It is a unique way to get the analysis and the synthesis of any project at the same time on the same device ! Try to do this with something else ! The Lingua Franca Foundation is a member of the Hub in Brussels and collaborates with the other Hubs throughout Europe and beyond. That’s why we decided to organize several workshops in Belgium (in French) and in the Netherlands (in English). Mind Mapping Basics ? What will we do in these workshops ? 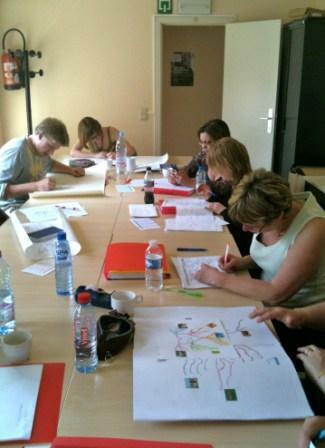 This workshop is aimed to teach you the basic principles of mind mapping. So, we’ll learn how to draw our first mind map. We’ll see how to associate words and pictures, how to reconnect with our own creativity, to feel the pleasure to draw and to write on the same page, to find out what are our deepest feelings and our unconscious thoughts. You’ll structure some documents too : generally we are not too good at planning documents’ structures. We tend to jump on the writing without paying too much attention to the general frame of our papers… and, of course, our texts lack any structure… Forget about this and start giving a sturdy and impressive backbone to your future papers ! And, last but not least, you’ll design yourself some time management tools. 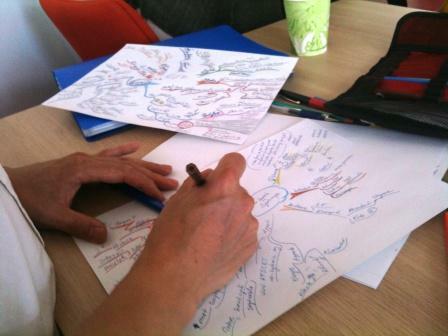 You’ll see, once again with mind mapping, it is simple, easy and strikingly efficient ! In Amsterdam : on the 20th of July from 9 am to 5 pm. In Rotterdam : on the 21th of July from 9 am to 5 pm. For Amsterdam : just click here ! For Rotterdam : just click here ! This entry was posted in communication, Communication tools, Lingua Franca Academy, Mind Mapping, pedagogy, Projects, Workshops and tagged Amsterdam, brain, branch, branches, color, colors, colour, colours, creativity, emotion, emotions, feeling, feelings, hierarchy, Hub, keyword, left brain, line, memorize, memory, mind map, mind mapping, Netherlands, organic, productivity, rational, right brain, Rotterdam, sensitive, speaker, straight line, structure, Summerschool, thinking, thought, time management, Tony Buzan, trainer, training, workshop, workshops. Bookmark the permalink.